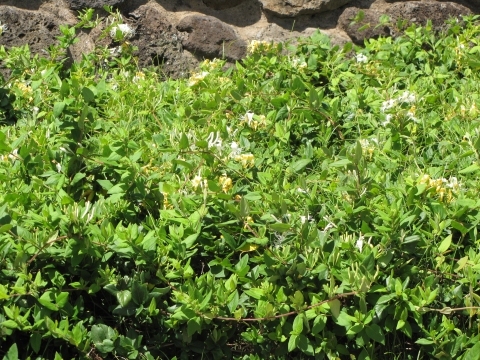 Japanese honeysuckle is an evergreen climbing shrub with stems 5 metres or more long that support themselves by twining around other plants.
] and should be sown as soon as possible in a cold frame. When they are large enough to handle, prick the seedlings out into individual pots and grow them on in the greenhouse for at least their first winter. Plant them out into their permanent positions in late spring or early summer, after the last expected frosts.